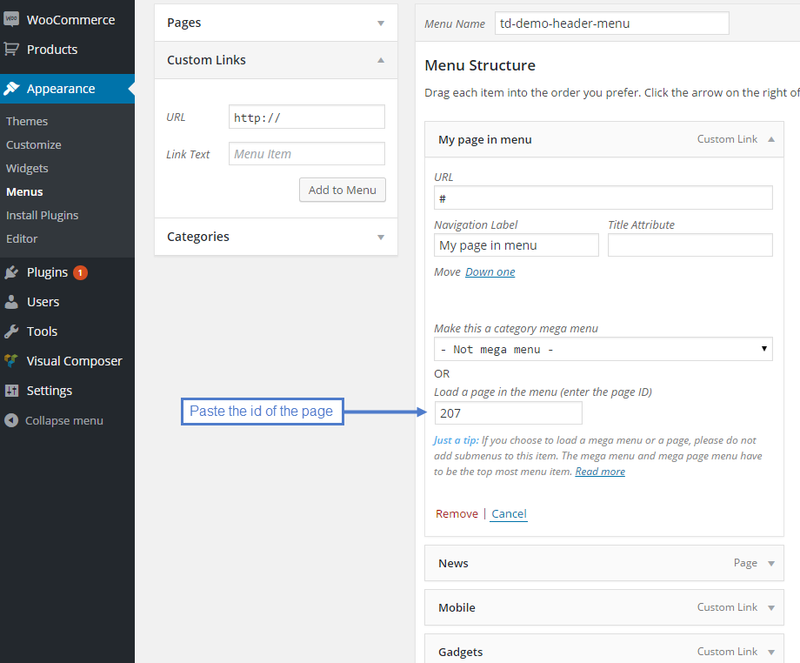 The Newspaper WordPress theme supports adding a page in menu. Yes, that is right! You can load a whole page built with the tagDiv Composer as a mega menu in the theme’s header. This feature may come in handy when you create pages with special functionality. Note: Before you start, please note that we do not recommend using the page in menu on Header styles 3 and 4. The reason is that these headers use a different grid system and might create conflicts. If you are looking for more information about how to create a new page, click here. After you have finished creating the page, set its visibility to Private. This way, you’ll make sure that the page will not show up as a normal page. You can find the page’s ID in its URL when you are in the editing section of your website. 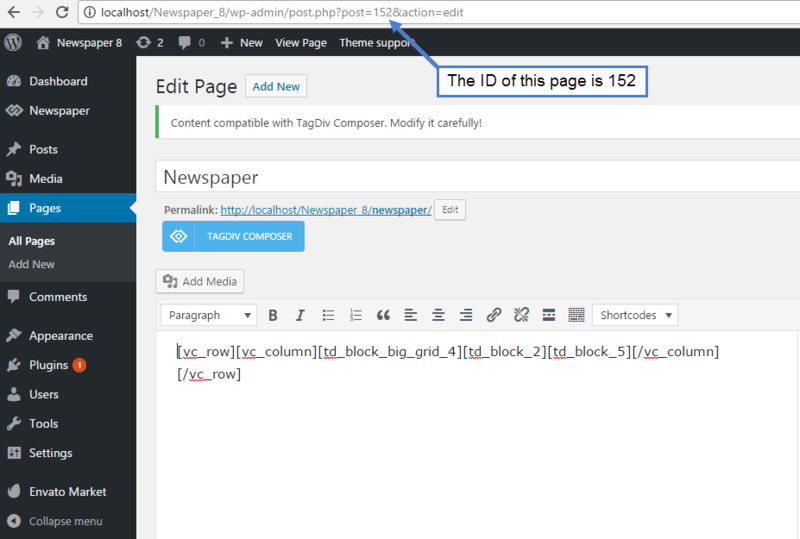 This is the number that is shown after the ‘post=’ parameter. Copy this ID number and save it somewhere to use later when loading the page in the menu. From the WordPress Dashboard, go to Appearance> Menus. In the Custom Links tab> URL box, add the # symbol for the newly created menu item. The Link Text will be the name of the page appearing in the menu. Now, it’s time to add the page’s ID in the required box. 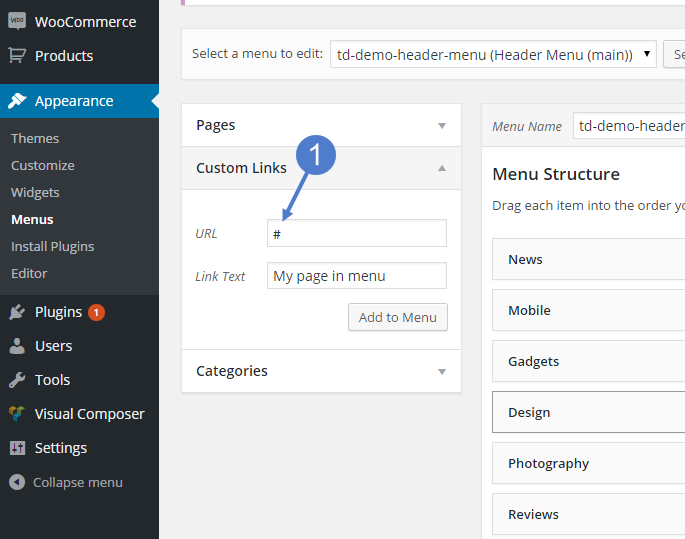 From Menu Structure, go to the page you want to assign in menu, and open the drop-down. In the “Load a page in the menu” cassette, type in the ID that you’ve previously copied. Save the menu, and check out the results. With Newspaper, you can explore your creativity and build amazing pages with unique functionality!